Jerusalem is a nexus point of major religions. Dive on in and see why the biggest players in “faith” are attracted to this land. Israel is a hi-tech hub of the world with some of biggest, brightest minds, sitting all day long inventing tomorrow. Be a part of making the future happen. With top-notch research – whether it’s bio-engineering, artificial intelligence, or robotics – you can see and speak to professors and scientists who will share their wealth of experience. The Israel/Arab conflict is arguably most widely discussed top in international politics. Hear first hand what the different sides have to say. Be your own person, form your own opinions. Don’t rely on what the media feeds you! Explore meaning – this is the place where the hardest existential and philosophical question were tackled. If you sincerely want to understand where Judaism is coming from and what your 3000 year old heritage stands for, what better place to do it?! Well known for having turned a desert into a “Garden of Eden,” Israel is on the cutting edge of agriculture, water-desalination and solar energy. Israel has made the desert bloom. See up close how irrigation systems and solar powered lighting are meshed in regular city life. Archeology and history. Israel is bursting with sites thousands of years old, from Temples to castles, to entire ancient cities. Live history in the place that has made history – there are even opportunities to join in archeological digs! If you have a taste for good foods, this is the place for you! Israel is filled with people from literally all over the world, and the national cuisine is truly international! You can try matbucha, kube, jachnun, authentic Israeli hummus (did you know Israel is full of restaurants dedicated purely to hummus?!) as well as traditional European Jewish foods. Middle eastern, Chinese, Russian or American, it’s all there in one mall! Diverse topography! Want to ski? Go to the snow-covered Hermon mountains,. Want the quiet of wilderness? Go the the serene Negev deserts. Want to Scuba Dive in tropical waters (think Nemo and Dory)? – go to Eilat. 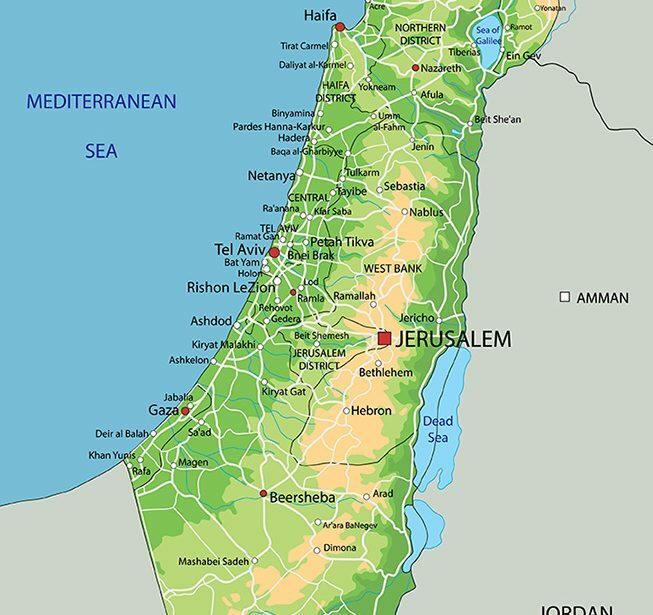 From the forests of Jerusalem to the lush green of the Galil, to the beautiful desert south, it’s been said that the only climate not found in this small country is rainforest! Get connected to what it means to be Jewish. For 2000 years, your greatest of grandparents craved to be in this place, and kissed its soil if they were lucky enough to arrive. There is so much more than to living it on the inside than to seeing it as a tourist. In the last few years hundreds of thousand of Jewish students have come to Israel through Birthright, MASA and Onward Israel. You can also experience it! “Way More Israel” is based in the Old City of Jerusalem and offers 3 co-horts a year to come experience living in Israel while interning in one of over 100 companies in tens of fields, from Hi-tech to research to engineering to medical to teaching – you name it, we’ve got it! In addition we have a weekly trips, hebrew language classes, and an opportunity to learn more about what being Jewish is about. We are the most affordable MASA internship program! Check us out now – www.waymoreisrael.com. I’d love to be greeting you “Shalom” in the Old City of Jerusalem!